From slowing wildfires to planting seeds, one animal is the true superhero that keeps the African savanna in balance. Elephants dig to find salt that other animal lick, their deep footprints collect water for small creatures to drink, and they eat young trees to keep the forest from overtaking the grasslands. In every season, the elephants are there to protect the savanna and its residents — but what would happen if the elephants were only “once upon a time”? 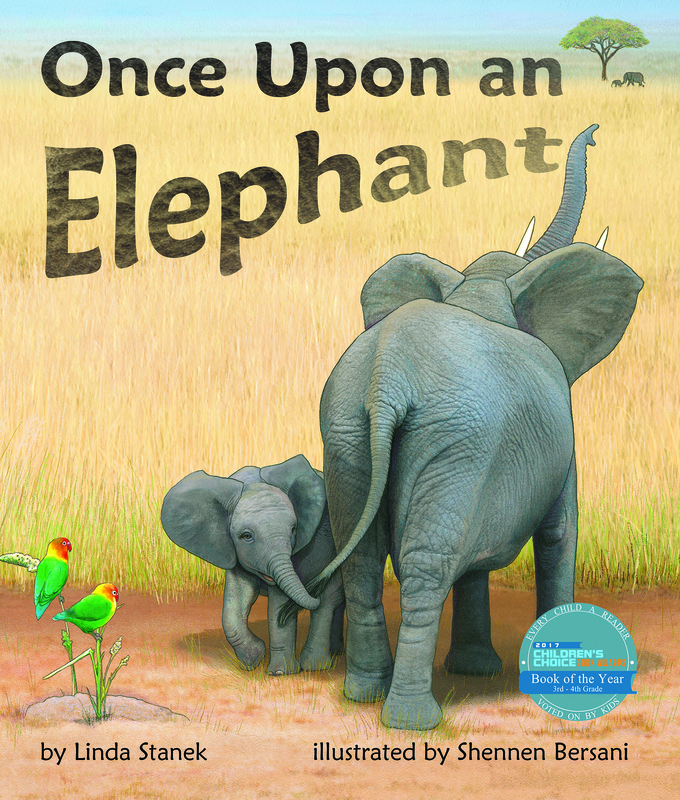 Read along to discover the important role this keystone species plays in the savanna and explore what would happen if the elephants vanished. Visit Linda Stanek’s website. Book jacket image and book description courtesy Arbordale Publishing. Used with permission.